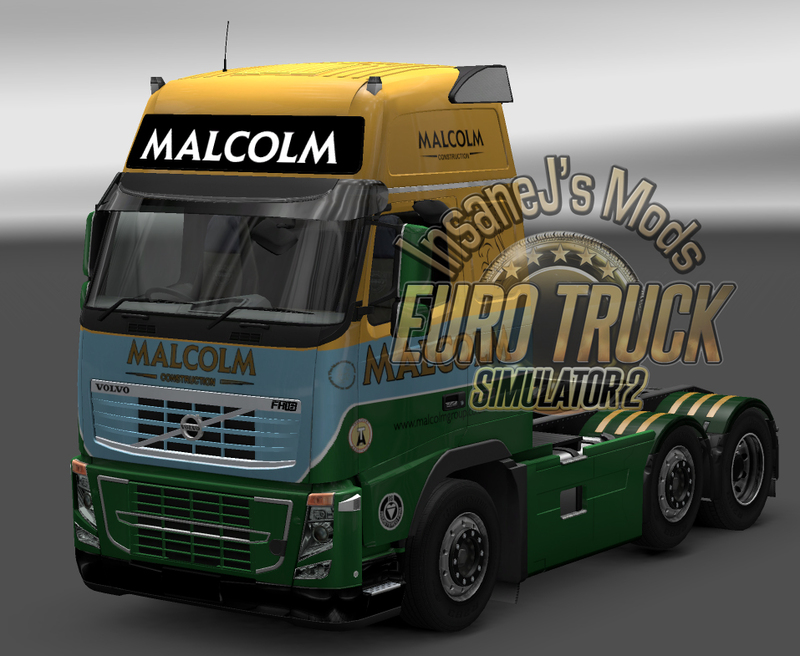 Here you can find all my truck skins available to download. Trucks are listed in alphabetical order via company name. 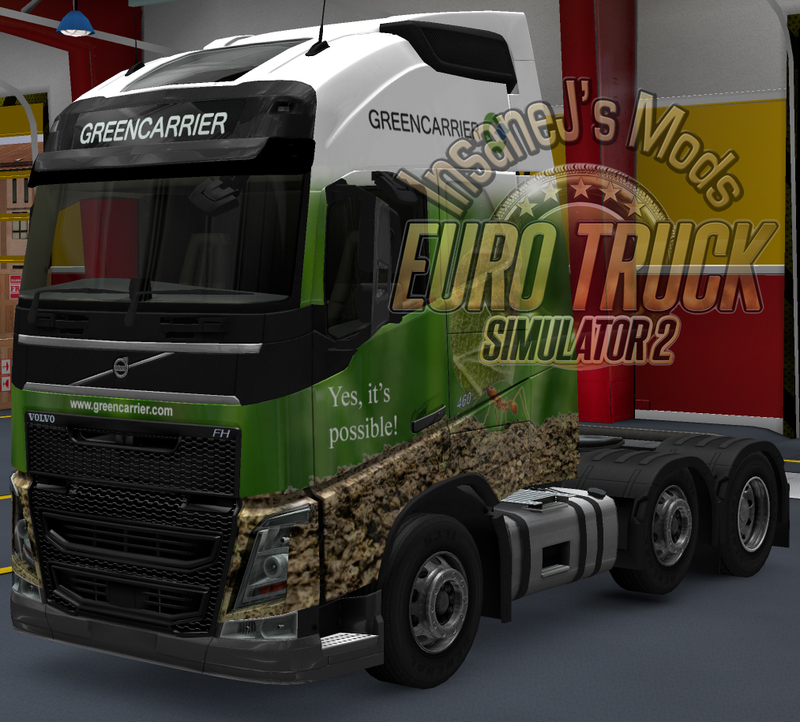 These truck skins are compatible with all versions of the game. 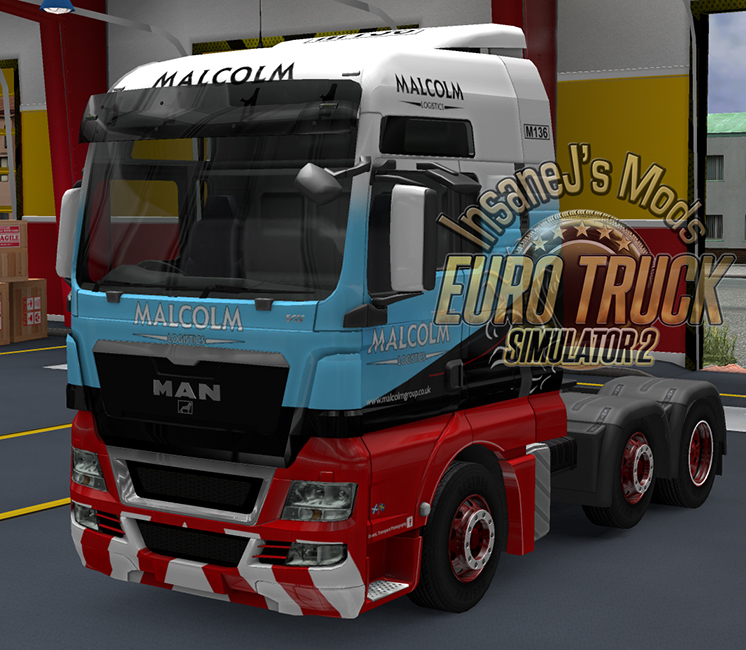 Man all 3 cab styles. 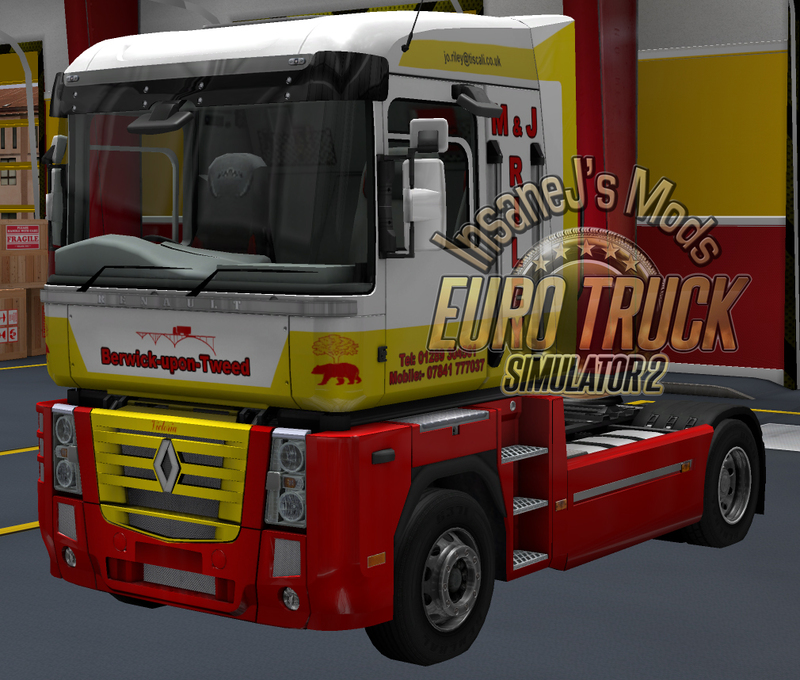 Please Note: For the front of the Renault to show correctly you will need to download the MagGrill mod which can be found on the other mods page. 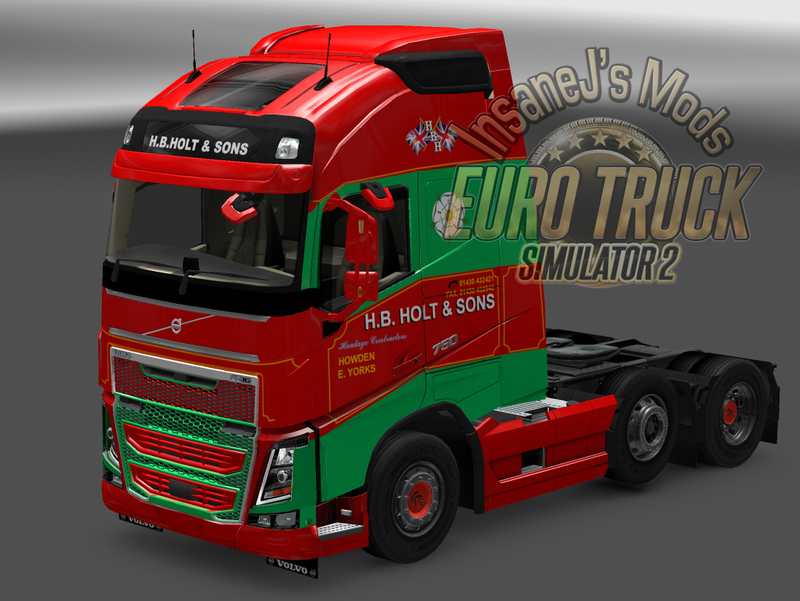 Please Note: This skin is compatible with Ohaha’s Volvo 2009 tweaks. Picture 2 shows what it would look like with a painted grill. 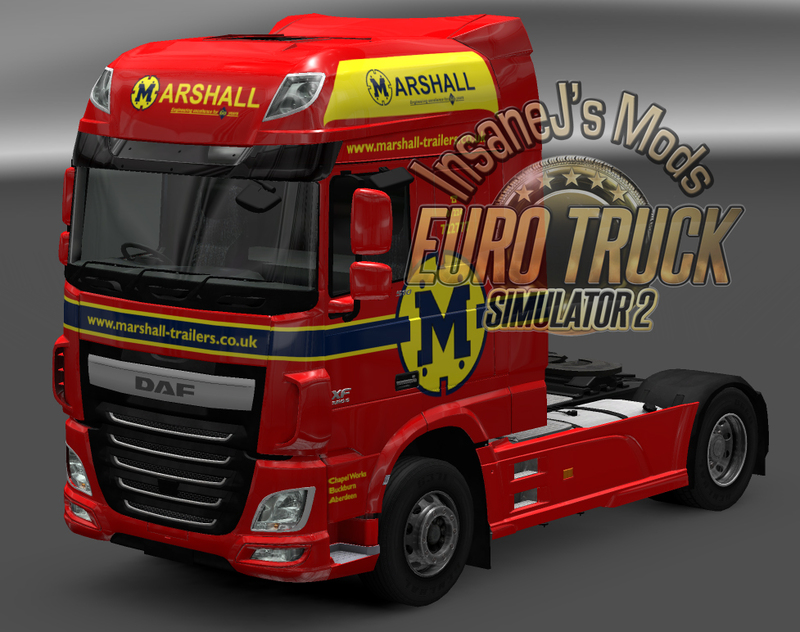 D. Neal Haulage replica for Scania Topline. 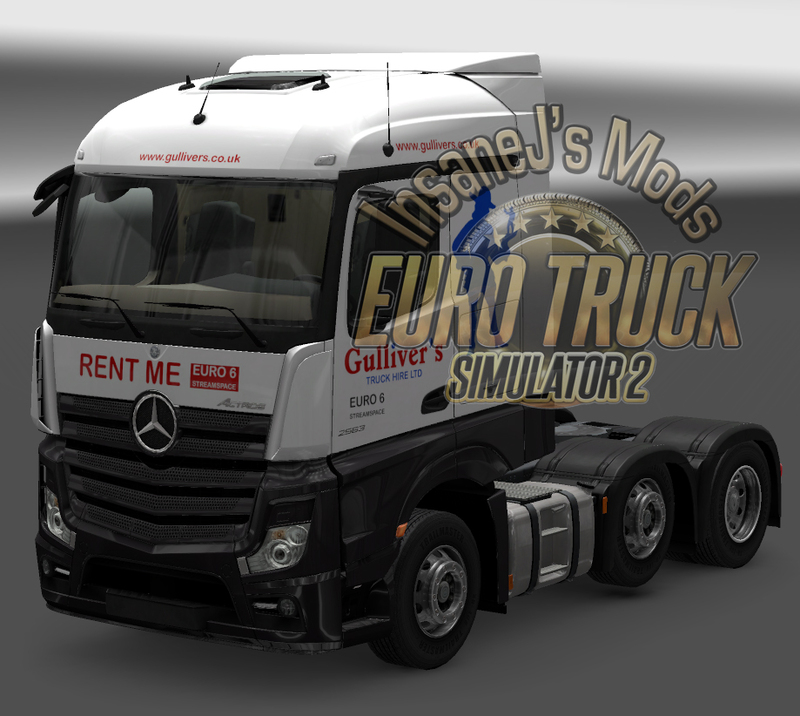 Mercedes 2014 Elite Transport skin for gigaspace cab. 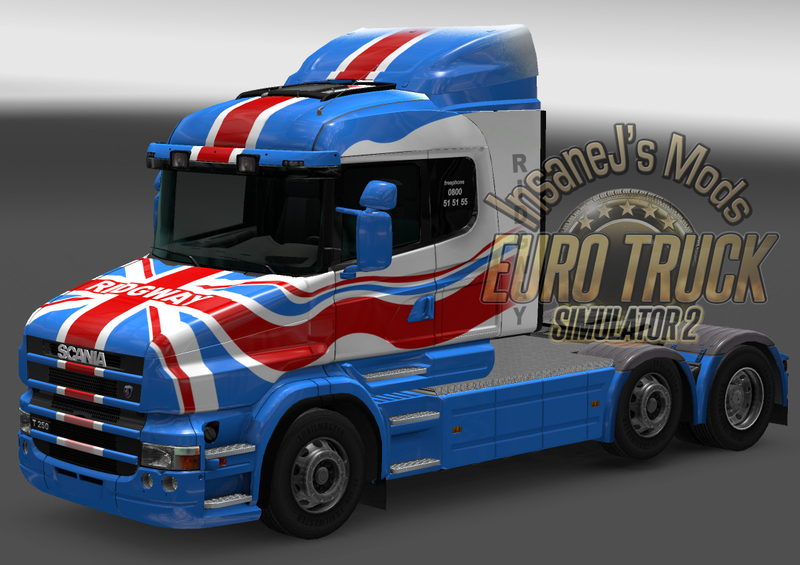 Mercedes Actros MP4 Streamspace Skin for the Fuel Challenger/Fuel duel livery. 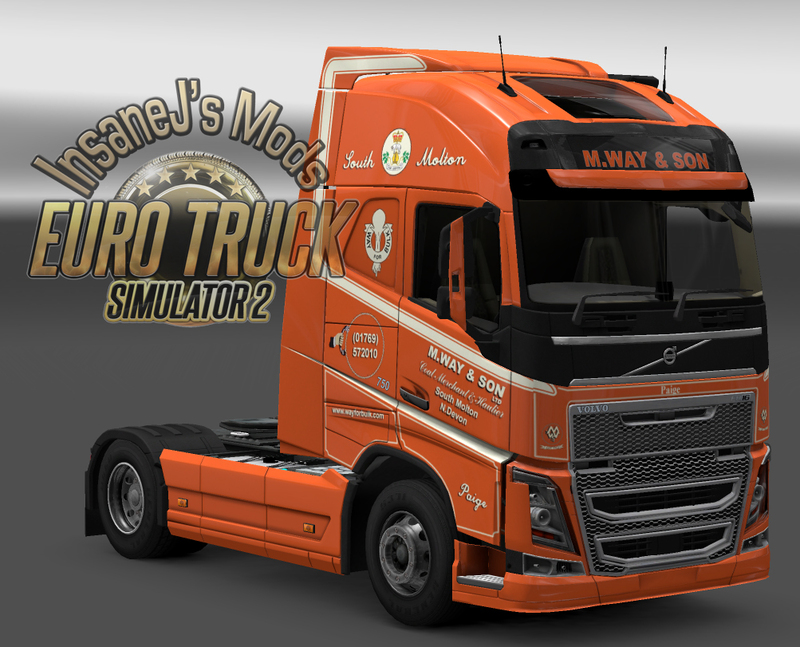 Mercedes 2014 Gulliver’s skin for the Streamspace cab. The picture shows what it would look like with his custom light box and painted grill. The light box is purchasable in the upgrade store if you have Ohaha’s mod installed. 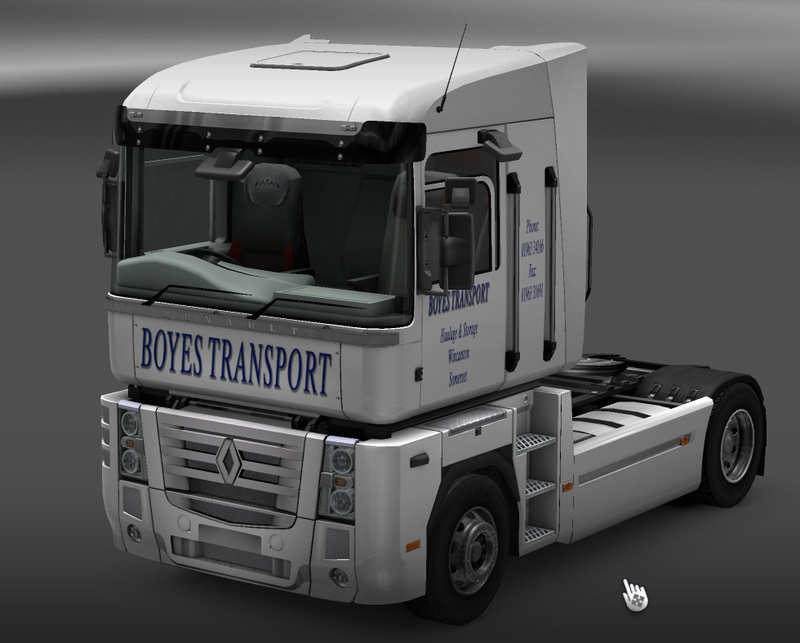 Also note that I have included an extra engine (750hp) that removes the 750 logo on the side of the cab as otherwise it will obscure the phone number/icon. 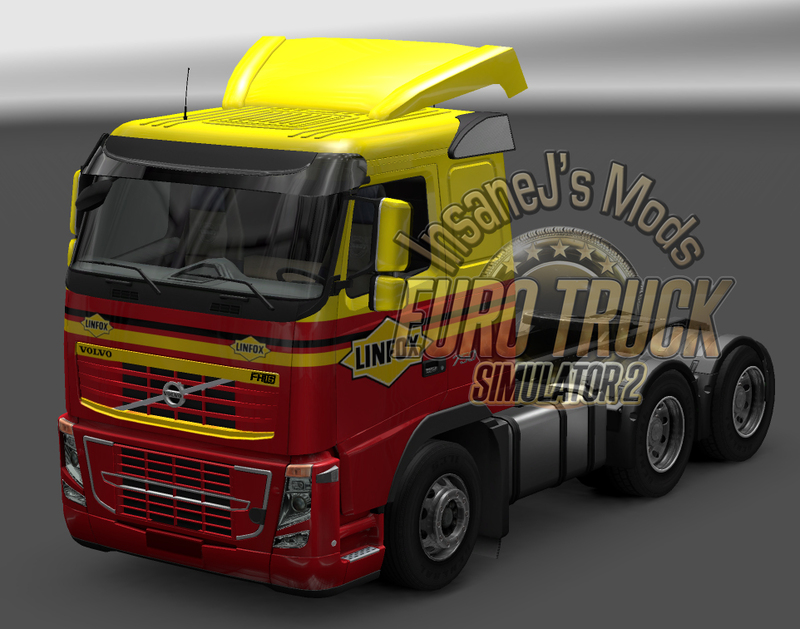 As part of the special RJL/Ohaha truck skin requests. 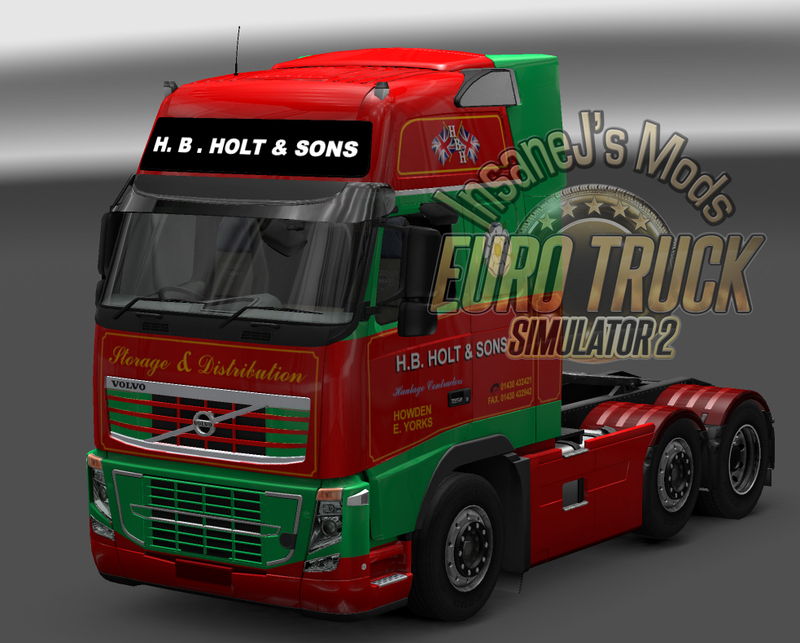 Iain Watt & Son Ohaha Volvo 2013 skin. Picture 2 shows what it would look like with his custom light box and painted grill. The light box is purchasable in the upgrade store if you have Ohaha’s mod installed. 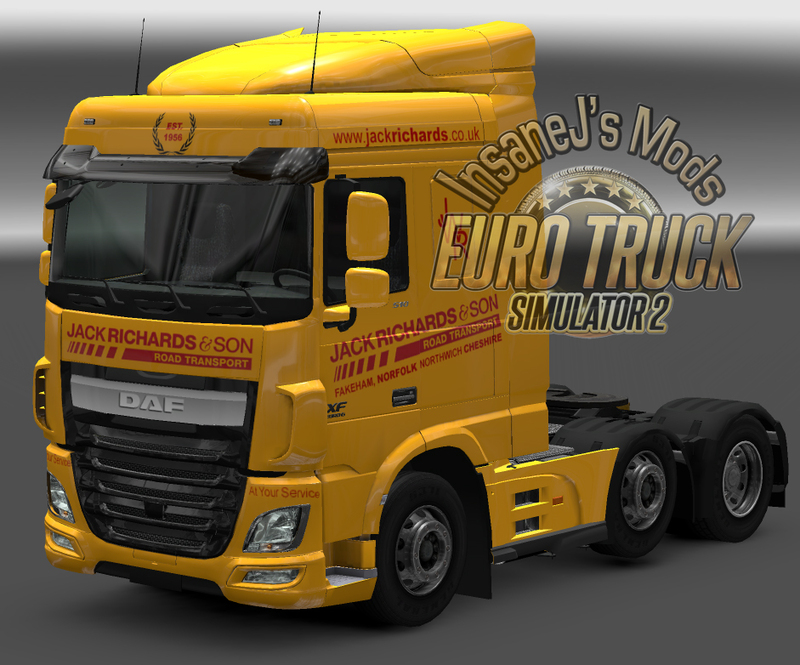 Jack Richards & Son skin for DAF E6 – By Request. Vovlo Classic and new. 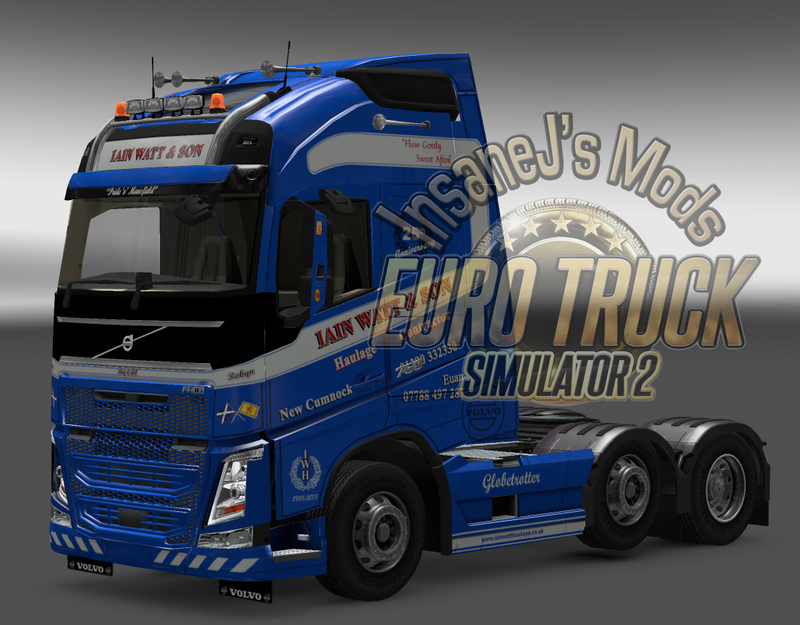 Based on the Scania skin, by request. 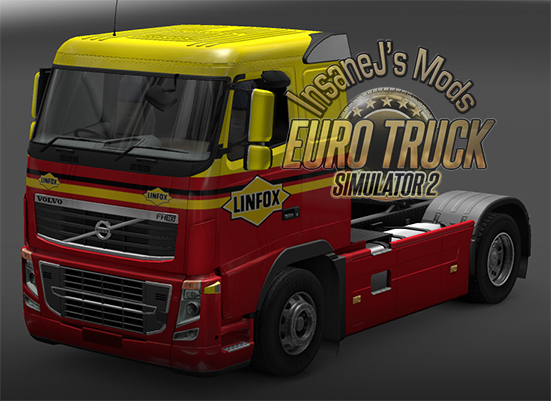 A Linfox Volvo (classic) on the c-cab -by request. Picture 2 shows what it would look like with a painted grill. There is no logo on the spoiler due to the way Ohaha UV Mapped it. 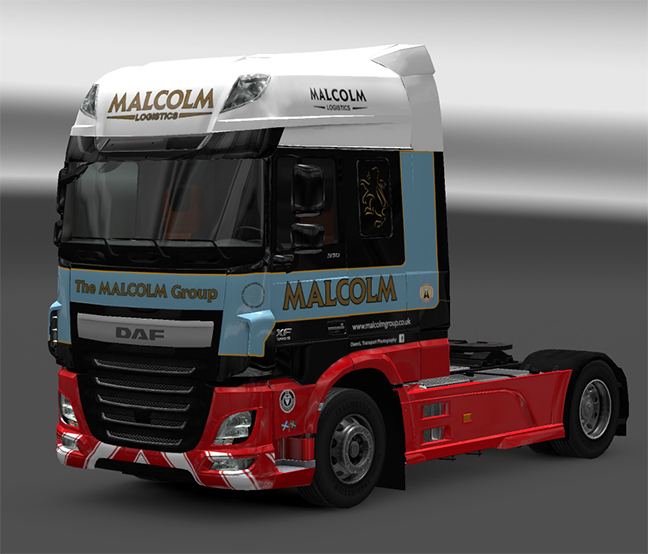 DAF (largest) – By request. 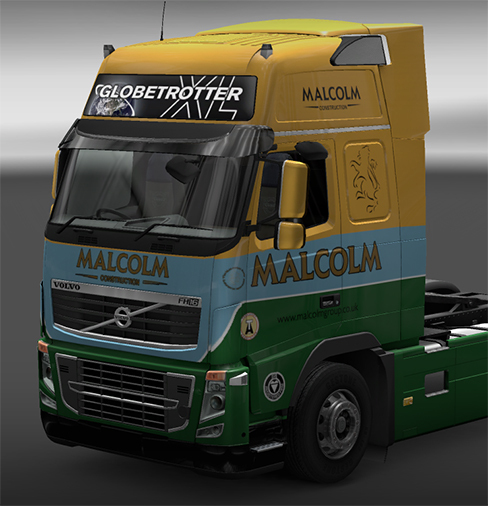 A collection of Malcolm Group skins in one file. 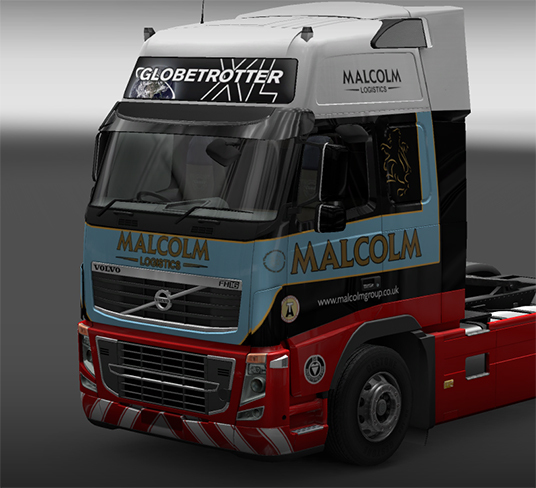 The Malcolm Wheels shown on some of the pics are included in the pack. 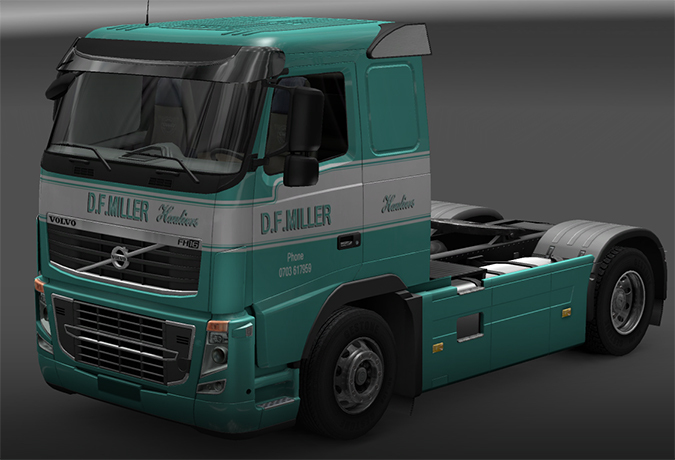 Volvo XXL cab skin & Ohaha compatible version. Please note: The lightbar will only work for those who are on game update 1.7.2.1 and above. It will not work on older versions. 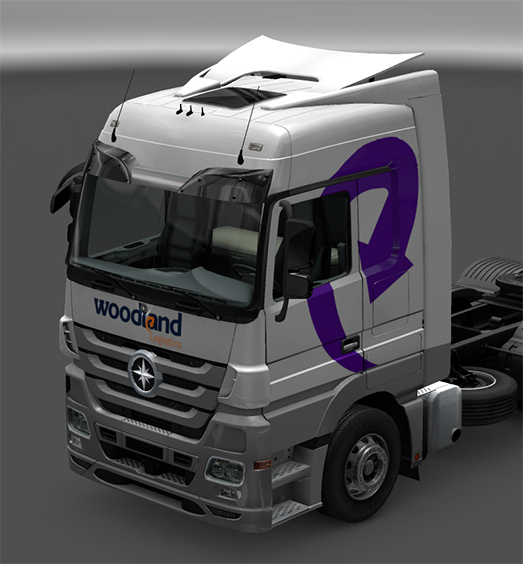 Please Note: For the front of the Scania R to show correctly you will need to download the Scania V4 mod which can be found on the other mods page. 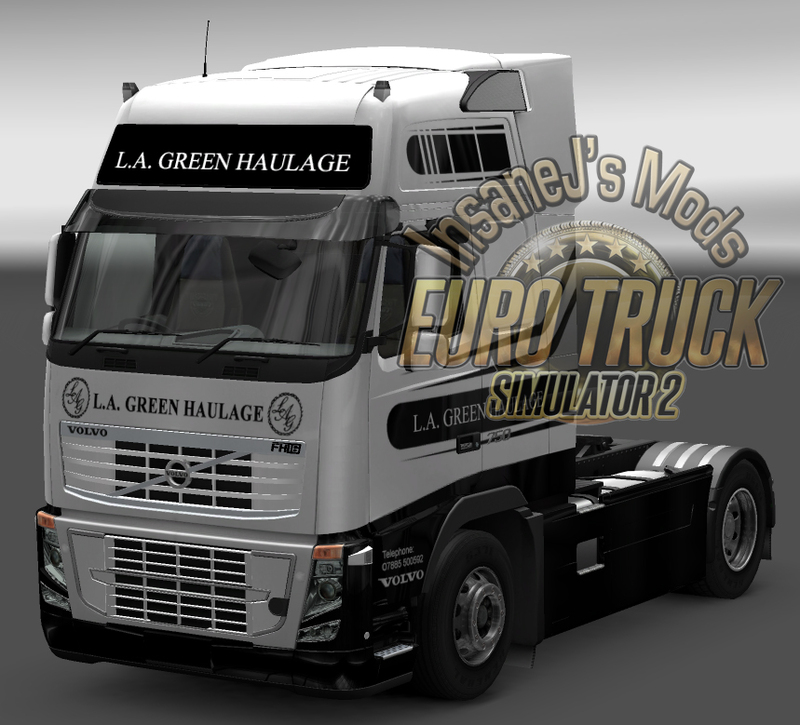 Requires RJL’s Scania T mod. 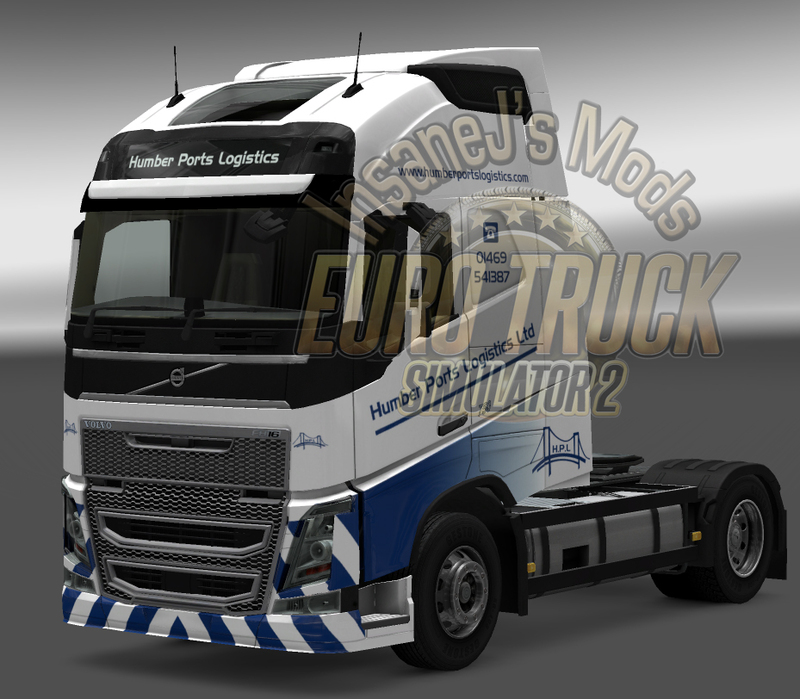 Please Note: For the front of the Scania to show correctly you will need to download the Scania V4 mod which can be found on the other mods page. 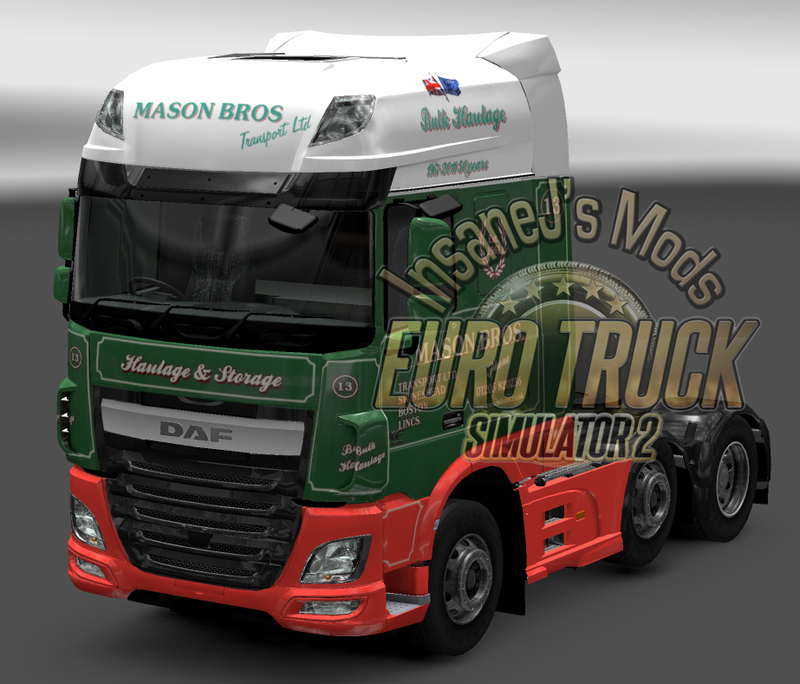 Mason Brothers skin DAF Super Space Cab (105 & euro6 versions) and New Volvo FH. -by request. Please note: For the lightbar to work you must have game version 1.7.2.1 or higher. 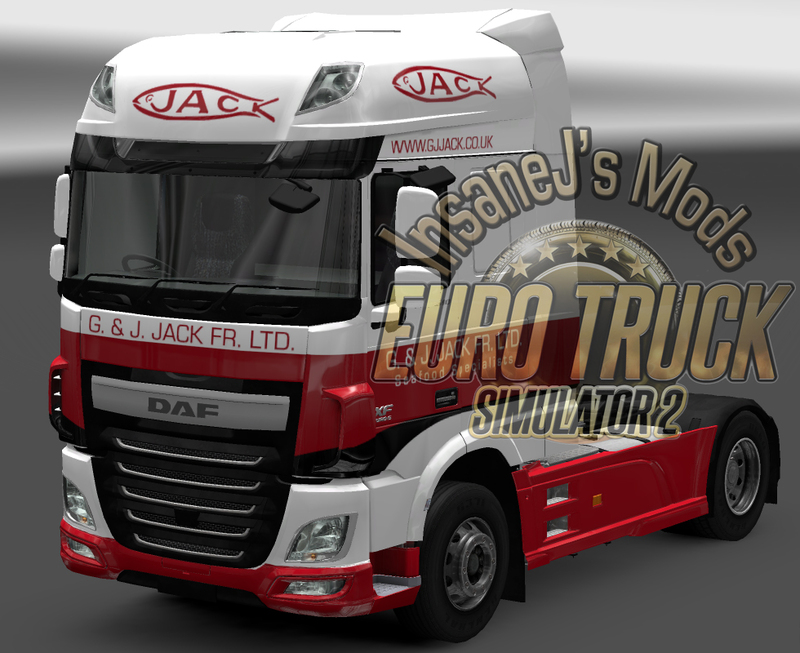 The DAF E6 skin is compatible with Ohaha’s DAF Tweaks mod. The picture shows what it would look like with his custom light box and painted grill. 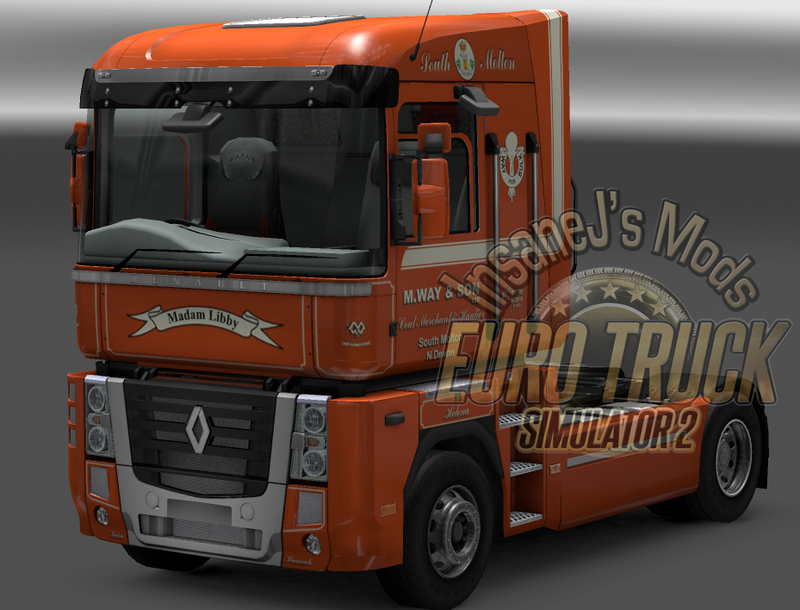 An M & J Riley skin for the Renault Magnum. 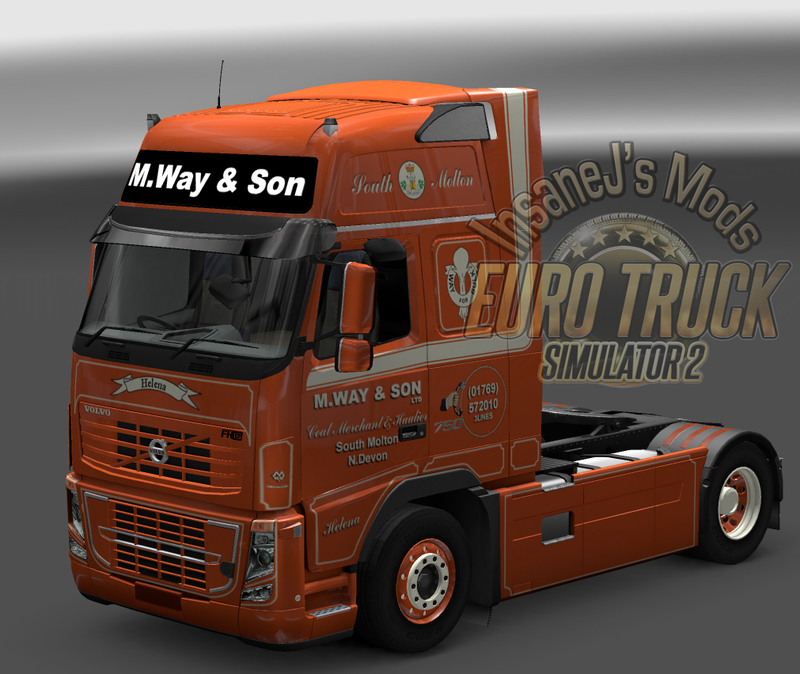 M. Way & Son skin for Volvo Globetrotter XL 2012, Globetrotter Classic, Globetrotter XLClassic, and Renault Magnum. Painted wheels are now included as an option in the upgrade store. 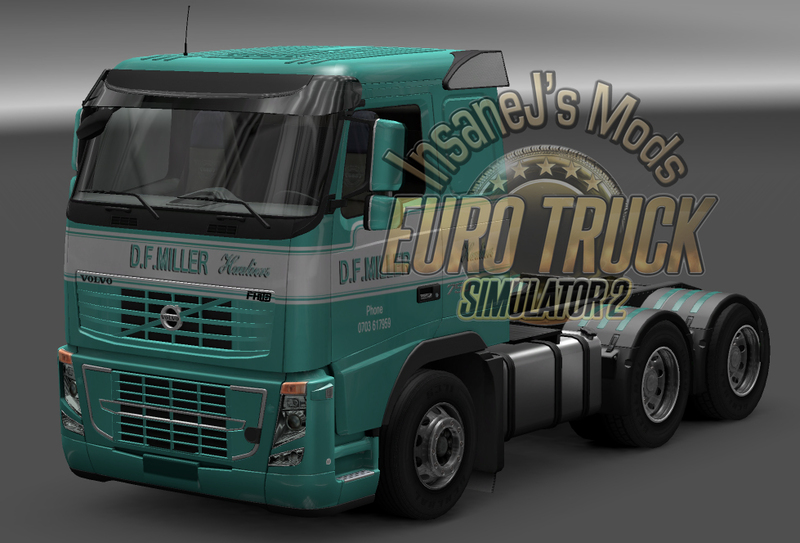 Pic 2: Version for Ohaha’s Volvo Tweak with lightbox and painted grill. A remembrance day theme truck. 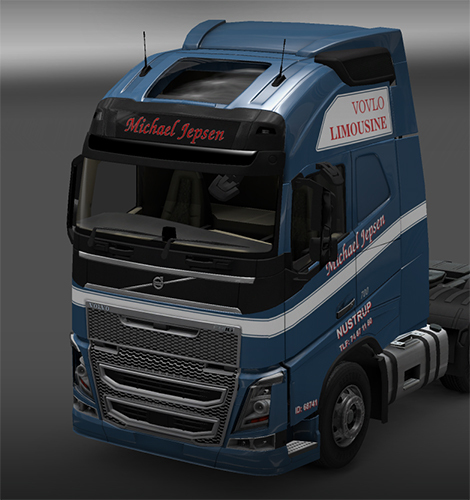 This skin is made for RJL’s Scania T cab mod and is designed for specific parts. 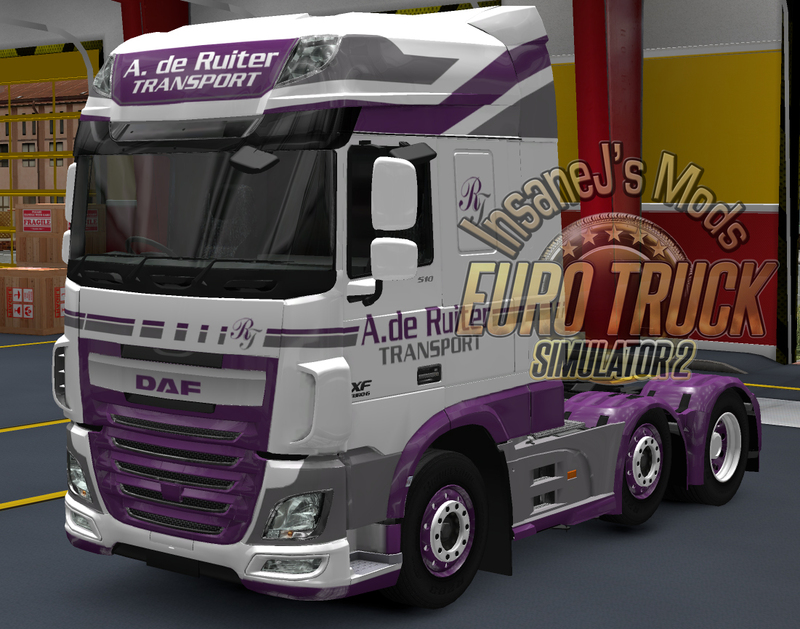 Please read the “Correct Parts” files included in the rar file to set the truck up correctly. 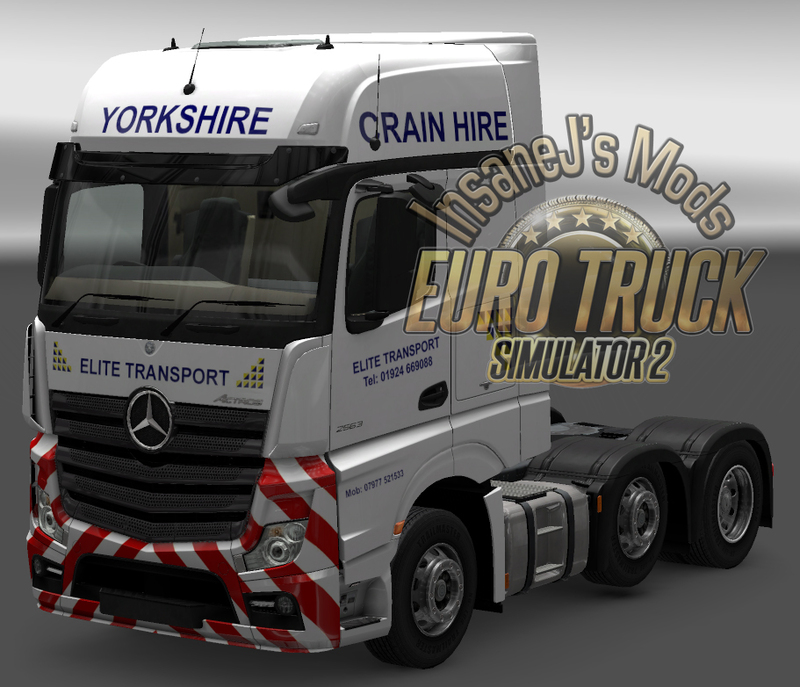 For questions relating to the truck model, please visit his thread on the SCS forums. 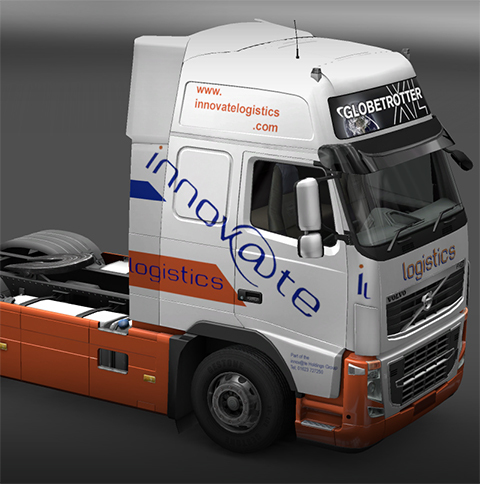 All Stobart Skins can now be found on their own page: Here. 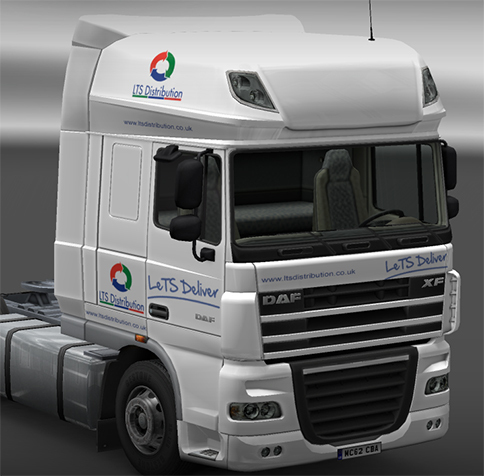 TFL Logistics skin for DAF. 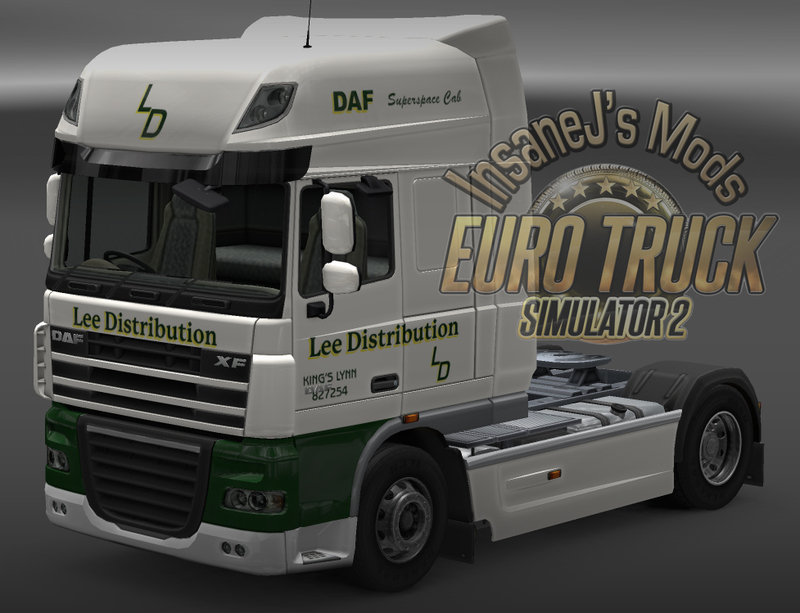 Compatible with the new DAF Tuning DLC. 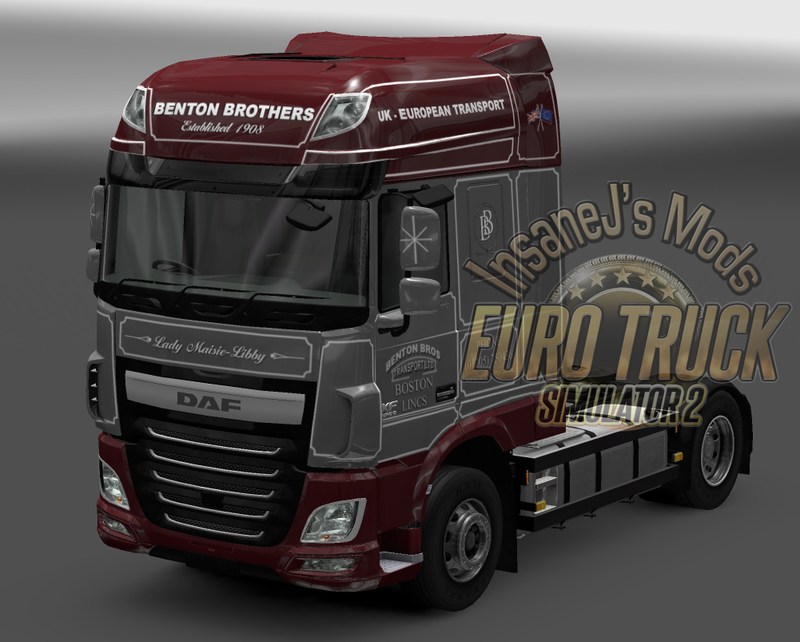 Widdowson skin for the Iveco. Hello mate I know your not a big MALCOLMS fan. 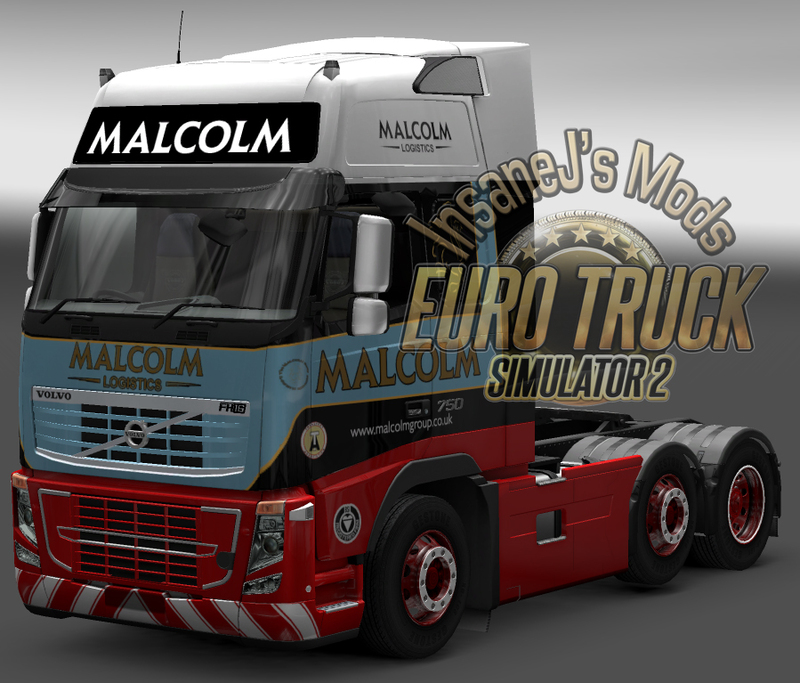 But I am coming from Scotland, and where they have a huge Intermodal depo and was wondering if you please upgrade the Malcolm’s truck pack. 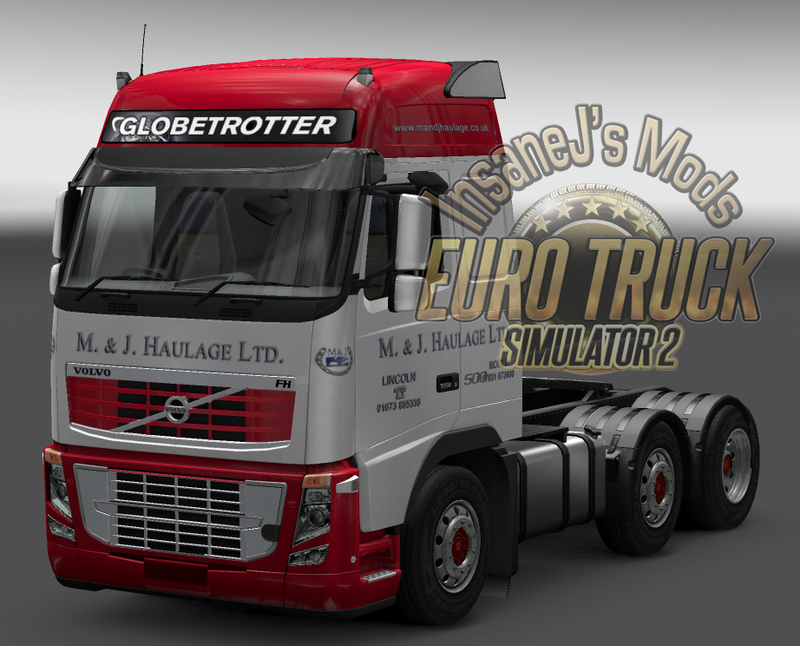 And include the Volvo FH12 construction as you have made for the AI in game. 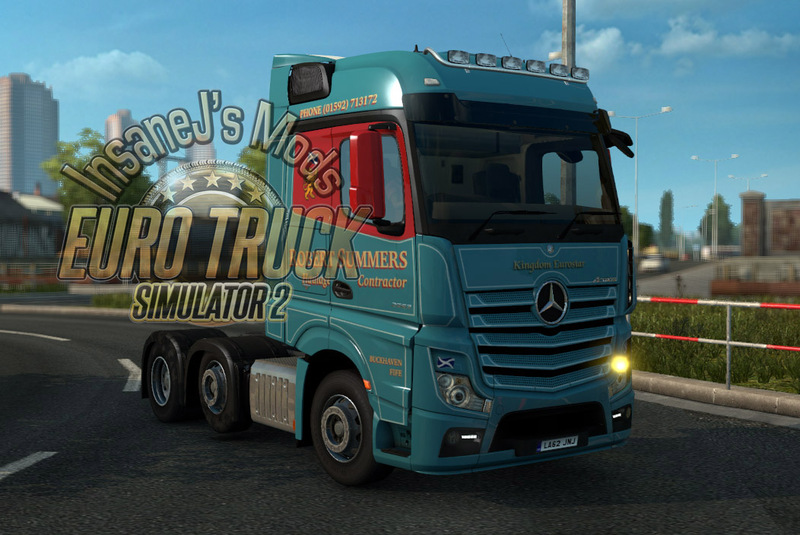 Hey, can we have the McBurney Scania R skin back please? 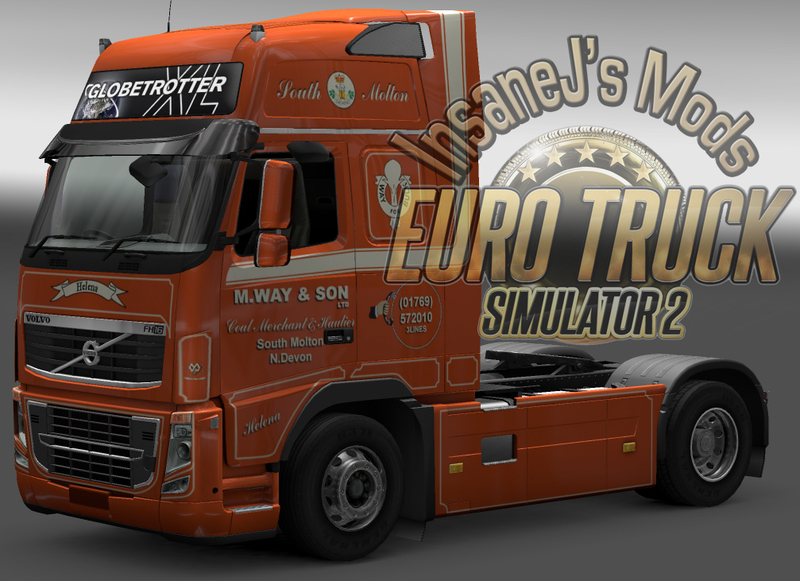 I suspect it disappeared because it conflicted wit the Woodside Scania as the McBurney Scania uses the same name. ie. woodside.dds. I’d fix it myself but I don’t want to disrespect your work by modifying it. Thx in advance. 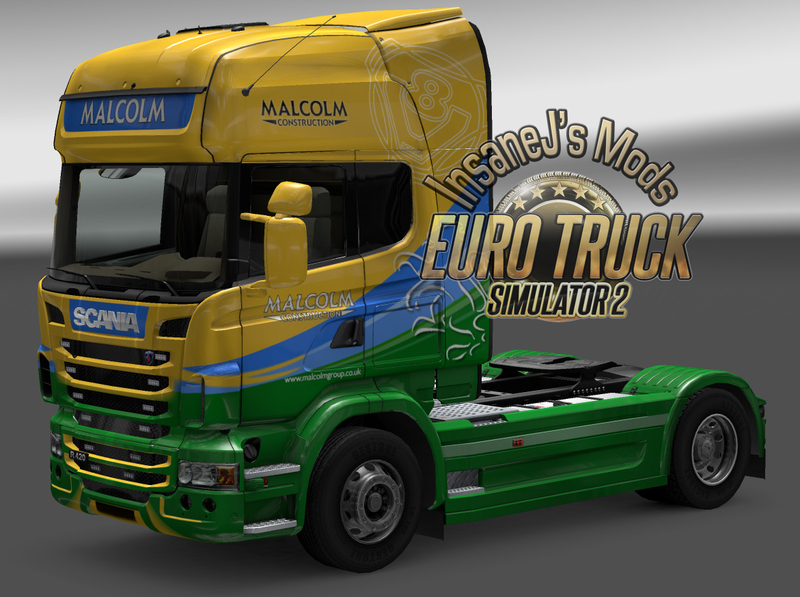 I’ve never had a McBurney Scania skin as far as I am aware. 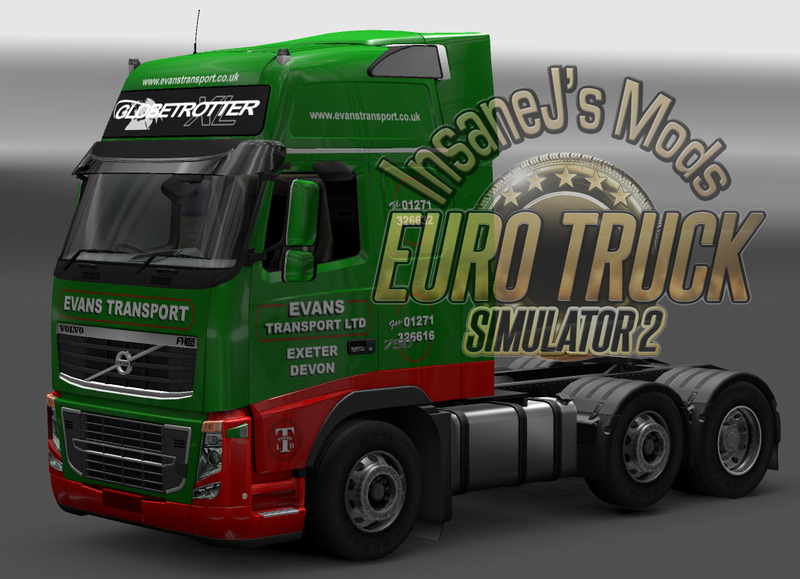 There’s no sign of a Scania skin in my mod. If you’re absolutely sure it’s mine send it via the email on the pinned “Welcome” blog topic. Back around 2013/14 I did have a hard drive failure and lost some of my PSD files. 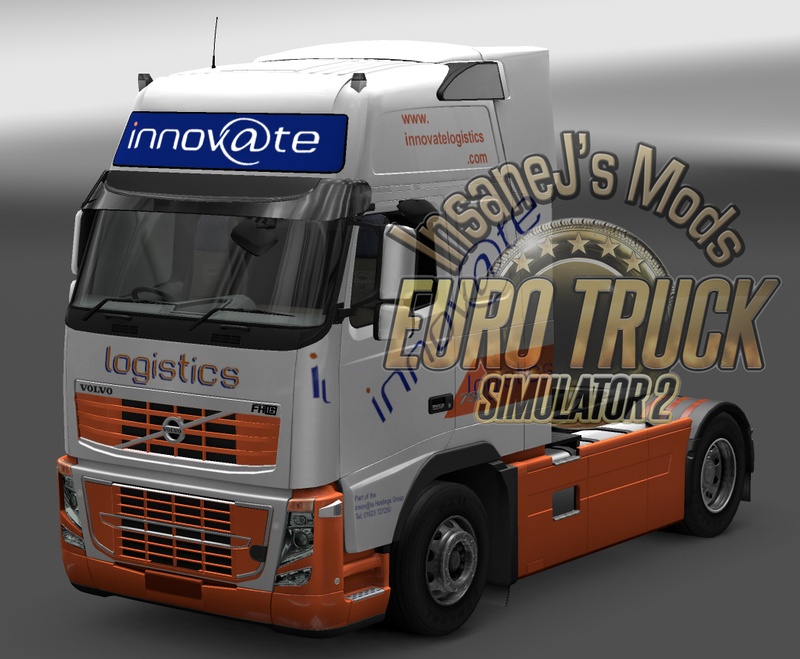 It’s possible the truck was removed because I lost the skin files and didn’t have the time/desire to remake it. But TBH I really don’t recall ever having one.